Insurance claim data and other highly sensitive information were inadvertently posted on Amazon Web Services after an error was made by a contractor of Systema Software; a Business Associate of a number of HIPAA-covered health insurance providers. Systema Software was responsible for processing claims for a number of U.S insurance companies. Vickery also spoke with Smith on the telephone and was allegedly advised that the data were accidentally made available online after a contractor made a mistake. Smith sought confirmation from Vickery that the data he downloaded had been secured, and said “Our clients are looking for confirmation that you have not shared their data with anyone else, will not share it, and will delete it.” Vickery said that this was the case and only he had viewed the information. Vickery confirmed he is receiving assistance from the Texas Attorney General to make sure that all traces of the data are securely and permanently deleted from his computer. There were fears that Vickery was not the only person to have downloaded the data, as any number of individuals could potentially have accessed the information via AWS. Fortunately, this does not appear to be the case. However, Vickery confirmed to HIPAA Journal that “another affected entity was informed, by Systema, that absolutely no logs existed for that Amazon bucket.” If no logs existed, then there is no way of telling how many individuals managed to download the data bucket before it was secured. As a Business Associate of a number of HIPAA-covered entities, Systema Software is likely to be investigated for potential violations of the Health Insurance Portability and Accountability Act (HIPAA). Systema Software is obliged to implement safeguards to prevent the exposure of confidential data, which under the Omnibus Rule, includes taking steps to prevent its contractors from exposing any data provided to them. At present, Systema is conducting a thorough investigation into the security breach and will be taking a number of stems to ensure that all data held is appropriately protected in the future. Once the investigation has been completed, the company will be able to determine what, if any, remediation measures will be necessary. If it is not possible to determine how many individuals have accessed the data, and whether any information has been downloaded, HIPAA regulations demand that breach notification letters are sent to all affected individuals. 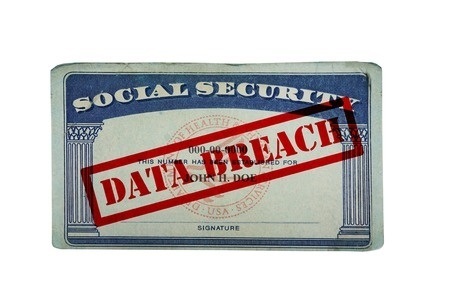 Due to the highly sensitive nature of the data exposed, remediation measures will need to reflect the level of identity theft risk that each of those individuals now faces.